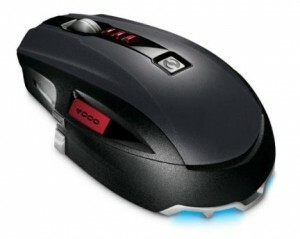 Just received my Microsoft Sidewinder X8 mouse as a replacement to my aging Logitech G7. Both mice are wireless gaming mice relying on batteries for power, but both go different ways to making sure you can always use your mouse. This tutorial will teach you how to make a basic cartoon cloud in Photoshop. The tutorial should be suitable for beginners. 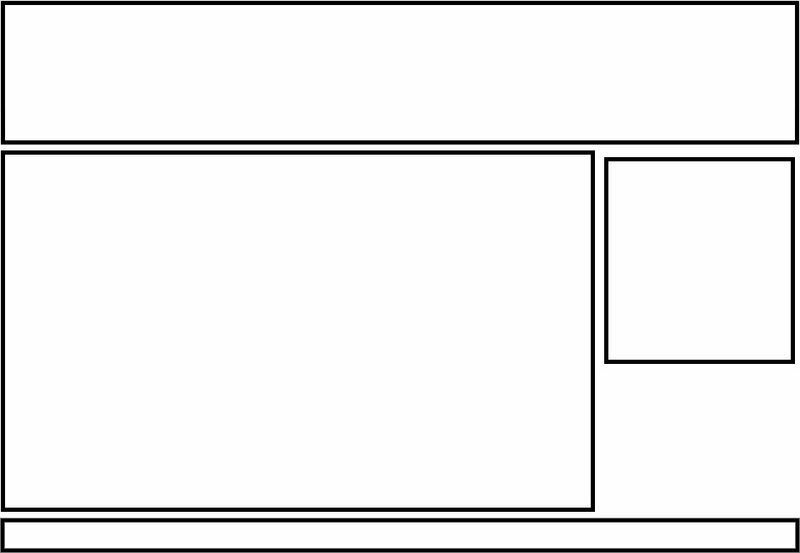 Following on from the Guide to classes and ids in HTML and CSS, we will create this basic 2 column layout. Before we delve in to HTML and CSS, you need to understand the basic structure of the page to know how to write your HTML. To do this, on paper or Photoshop draw out the basic layout. 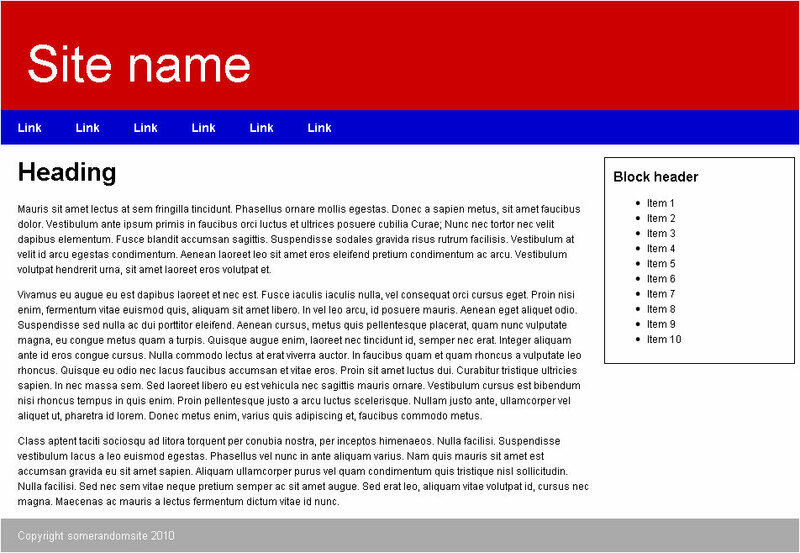 With the basic wireframe of the site you can now write out the basic HTML. A class can be applied to any HTML element to allow you to easily target it using CSS to add styling and change the way it is presented to the user. 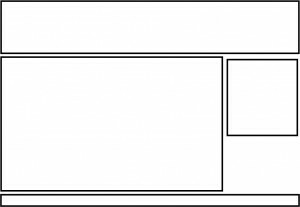 In CSS classes are selected using a full stop followed by the name of the class. Open Atrium is an open source intranet package that uses Drupal as it's underlying framework. Zen is the ultimate starting theme for Drupal. If you are building your own standards-compliant theme, you will find it much easier to start with Zen than to start with Garland or Bluemarine. 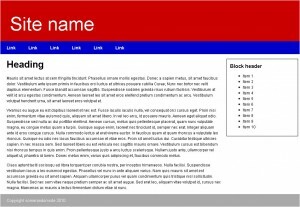 This theme has fantastic online documentation and tons of code comments for both the PHP (template.php) and HTML (page.tpl.php, node.tpl.php). Zen gives a great framework for you to work from as a lot of the hard work in making the default Drupal CSS rules easier to customise as well as having a starter kit for you to modify giving you the basics to create your own theme without needed to mess around with the in's and out's of Drupals theming system. We will be using 2 free open source applications. The first application to rip the video files from the BluRay or DVD, for this we will use MakeMKV, this will take the main video from the BluRay or DVD and create an MKV using the video and audio straight from the disc. With BluRay discs this can create large files 15GB+. To shrink the files to a slightly smaller size without sacrificing quality too much we can use a cross-platform program called HandBrake. A strong knowledge of HTML and CSS is pivotal for all other web design or development work. It provides you with knowledge of how to structure a web page and best practices to create a well supported website across all major browsers. Search engines (Google, Bing, Yahoo) all rank your site based on your content. You need to make sure your content has the keywords that you expect people to search to find you are in your content. This text has to be in HTML. A common problem on the web especially from people using things like MrSite (or any other site builder/WYSIWYG editor) is that they find the font they want to use doesn't work on multiple computers. To get around this, they will create images with the text in the image. As far as the search engines are concerned, there is no text there, so it has zero content to index. I had a few issues with my HTPC where the sound only came out as stereo on my Sony STR-KS1300. All drivers were installed correctly and the onboard sound was disabled.